So, with two girls home sick with high fevers, what makes everything better? Comfort food of course. Last night I made some Tuna Casserole. I love that it’s so easy to put together, and tastes like childhood! What I don’t like is that only Cassidy and Alyssa like it. How can they be related to me and not want to eat the whole casserole? I don’t get it. So, to make things better, I found a bag of shredded zucchini in the freezer. Hanging on from summer, it was calling my name. 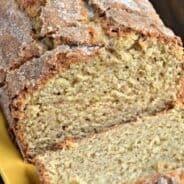 Seeing that earlier this week I made apple bread, I still had a taste for homemade breads. 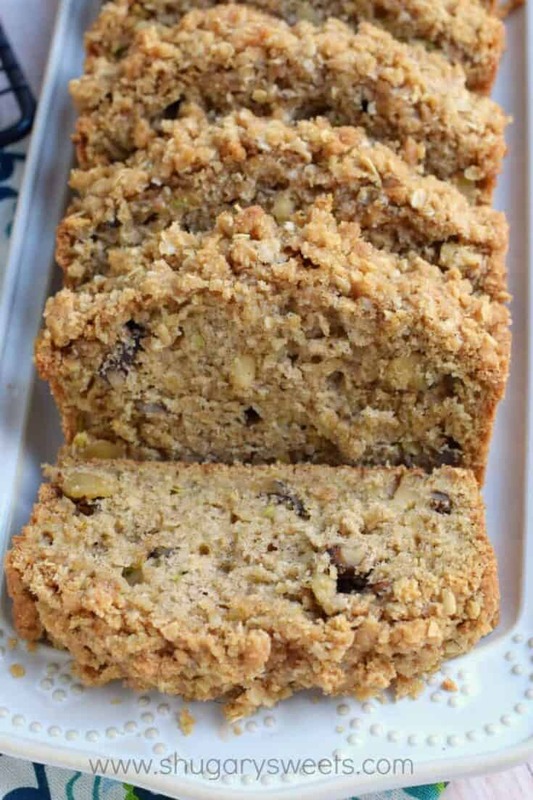 I whipped up a batch of Kari’s Crunchy Zucchini Bread…yum. Grease and flour two 8 x 4 inch pans. Preheat oven to 325 degrees. Beat eggs, oil, vanilla, and sugar together in a large bowl. Add flour, baking soda, baking powder, cinnamon and salt to the creamed mixture, and beat well. Stir in zucchini and nuts until well combined (I didn't add nuts this time). Pour batter into prepared pans. In a small bowl mix butter with remaining crumb toppings using hands. Split topping between two pans by sprinkling on top of batter. Bake for 50 to 60 minutes, or until tester inserted in the center comes out clean. Cool in pan on rack for 20 minutes. Remove bread from pan, and completely cool. I’m Amanda and I’m a teen food blogger. 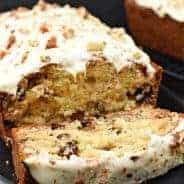 Your zucchini bread looks so delicious! 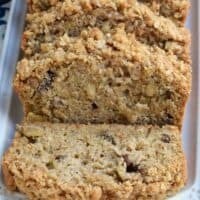 I’ve never had crunchy zucchini bread before, maybe I should try it! 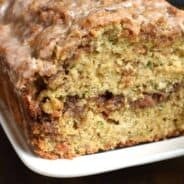 And yes, I agree, zucchini bread is comfort food. It really cheers you up! I came over here from Julie’s blog hop. I’m number 31 on there! Check out my blog/entry out if you can! Hi, I am new to your link. I was wondering what I could replace the Splenda with in the recipe. I am alergic to Splenda. Do I have to even replace it or can I just leave it out of the recipe and not replace it?? Thank you so much. I am really having a wonderful time checking out all your WONDERFUL recipes and bloggings. You sound just wonderful. You could either substitute for another sweetener (Truvia) or replace with regular granulated sugar. You could try to cut out some of the sugar too. Thanks.